The Medical Cannabis Patient Care Act has been approved by the USVI Senate and is on the governor’s desk for approval. 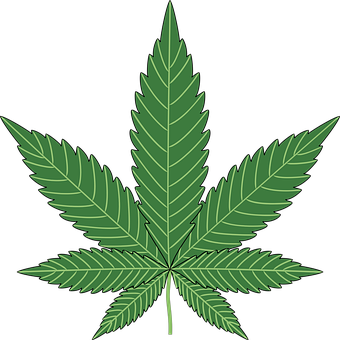 If this bill is passed, it will legalize and regulate medicinal cannabis for adult use in the territory, allowing the cultivation, processing and dispensing of medicinal marijuana products. Among the key changes it would make to local laws governing marijuana use is the protection of patients with medical conditions specified in the legislation, along with their physicians and primary caregivers, from local arrest and criminal prosecution. It would also regulate and protect supporting industries surrounding the medical marijuana industry, including processing, packaging, labeling and distribution. The bill would also create a nine-member Cannabis Advisory Board, appointed by the governor, and the Office of Cannabis Regulation as its regulatory arm. Under the bill, individuals with illnesses specified in the legislation are eligible to become cardholders who can purchase medical marijuana products from dispensaries. The list of qualifying illnesses includes cancer, hepatitis C, HIV-positive status, Acquired Immunodeficiency Syndrome, Crohn’s disease, Alzheimer’s, Parkinson’s, autism, opiate addiction and 15 other illnesses and conditions. Any condition not included in the original list can be petitioned for inclusion through the Office of Cannabis Regulation. The bill also regulates the cultivation side of the medical marijuana industry, allowing licensees to grow as many as 1,000 plants, the largest allowable number under the legislation. Local farms would get $500 fee discounts for each of the license levels. To prevent monopolies, cultivators cannot also own dispensaries. Medical marijuana products, like prescription medications, will also be regulated to prevent them from leaking to the non-cardholder population. The bill can potentially transform the local illegal cannabis market, and may provide legitimate business opportunities for illicit retailers of marijuana. The governor has the prerogative to veto the bill. In that situation, the Senate will need 10 votes to override the veto and ultimately turn the bill into law. Now’s a great time to consider investing in land here that could be used to grow marijuana! Lease it to someone if you do not want to do the actual farming yourself! If you are interested, email us and let us know what SIZE parcel (from half acre to 100’s of acres available) and what PRICE RANGE (from $45,000- $700,000) you’re interested in. Some of these parcels have structures on them (barn, cabin, house). Our local banks are lending on land to qualified buyers with only 10% down!